There is something in the human spirit- and I’m not sure what it is yet- knowledge of some truth about an end to all of this that will see justice and things made right, or maybe it’s just survival of the fittest- evolution’s way of keeping us alive even when we feel dead inside- but there is something in us that wants to affirm the goodness and beauty and value of life, even in the midst of our darkest tribulation. I’ve seen myself attempting this throughout the past eighteen months- like hanging up a piece of loose clothing on a wire hanger that keeps sliding down. You keep trying to make it stay. I’ve gone to buy a bowl of chicken soup for a homeless man on a frigid day in New York City near my counseling. I signed up to bring a meal to a family with a little toddler with leukemia. I respond to every email I receive from others who have known loss, trying to encourage them, even though I feel nothing but despair most nights. I’ve sent care packages to two widows I became closer to. Candles and tea and soothing things. I buy fresh flowers and take photos of beautiful things. I even take those flyers people hand out on city streets with a small smile just so they can feel they got rid of another one and have a moment of satisfaction. And the most life-affirming thing I do, I get up each day and try to create a beautiful childhood for my daughter, as well as prepare her for her future. I don’t pretend to succeed each day, but I give it my best shot. For Christmas, I wanted to send a beautiful young widow I met through this blog something special- because it was her third Christmas since her husband was killed on Christmas day in Iraq right after attending mass. He was a surgeon. They have three beautiful young children. He was supposed to come home. But he didn’t. She and I share the refrain: “You died, you actually died” spoken loudly or sometimes softly. I felt the approach of her own “anniversary” the entire month of December as Audrey excitedly ran to her Advent calendar each morning. After some searching around, I chose a small gift handmade by an Etsy artisan. At first I accidentally put my own address as the shipping address so I confirmed that it was actually the address of my friend. Then, I wanted the artist to know who it was going to so I explained just a little bit of the story in our online transaction- the story that you see, must be told again and again to any captive audience. I stated only in parenthesis (I am also) – a young widow, but she wrote back inquiring about how my husband had died and if he was in the military, so I replied with…you guessed it, the story. I didn’t hear back and thought perhaps it was too much information. I had ordered the gift after her Christmas deadline which was fine. I somehow still trust that things have a way of arriving at the right time. On the day of New Years’ Eve, while waiting outside Audrey’s ballet class in the morning, I checked my email on my phone and found my friend had received the gift. She was grateful, but I know there is no gift that can lessen the feelings of loss at all. Still, there are things that must be done- despite this and because of it. This is the stubborn, life-affirming quality we humans possess. As quickly as that, but in a much nicer spirit, I realized that she must have sent me the same present. On the elevator upstairs, I choked up and Audrey asked me if the package was for her- most are. “No honey, this one’s for me.” I hid it away until just about twelve midnight, long after our eight pm toast. 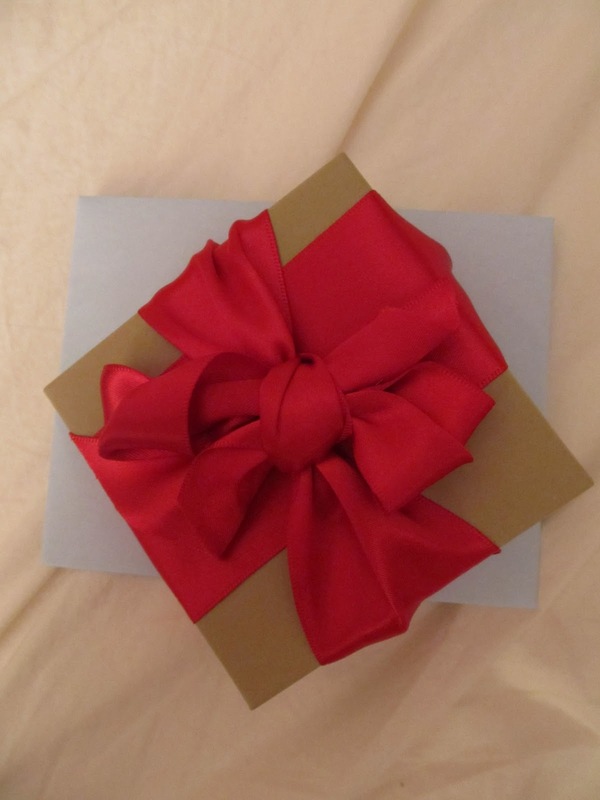 And then I opened it…alone, in our room on the cusp of another long year in a long lifetime without you. If you’d like your own charm, Stephanie’s shop is here. Still, there are things that must be done- despite this and because of it. This post actually sucker punched me, the whole thing, but the photo especially. I was walking yesterday, thinking – what will my word be for this year? My mind answered "hope," immediately – and I was mad. 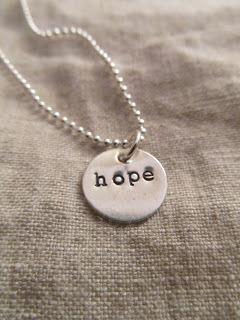 "Hope" is an annoying word to me, for reasons too longwinded to put in your comments. But here it is again. I guess I will have to let the darn word tell me what it means for me. Such a touching post, it is so wonderful that you are finding it in yourself to help others who are struggling even when you are in such a hard place. That is truly a strength in you and you are doing such a great job with your little girl. I wish you continued strength and hope in the new year. I am always amazed by the beauty of your writing. Thank you. How awesome this "article" is. In the middle of the third paragraph, I exclaimed to myself, "Hope has come into her despair." When I reached the end of the article, I gasped!! Julia, although I have not made an attempt to contact you, nor do I read your blog very often, my heart often goes out to you and wishes to embrace you. Thank you for sharing your journey with us in such an honest and poignant way. Your pain is somehow our blessing. With silent love, Adrienne D.